Campaign presents highlights from its photographic archive, telling the story of the men and women who shaped UK advertising. Outstanding photography has been a major factor in setting Campaign apart from other titles since it burst on to the UK ad scene in 1968. Handout pictures were anathema to its editors. Instead, photographers were briefed to ignore the banal but to bring drama and movement to their work in order to add impact to the news and feature pages. 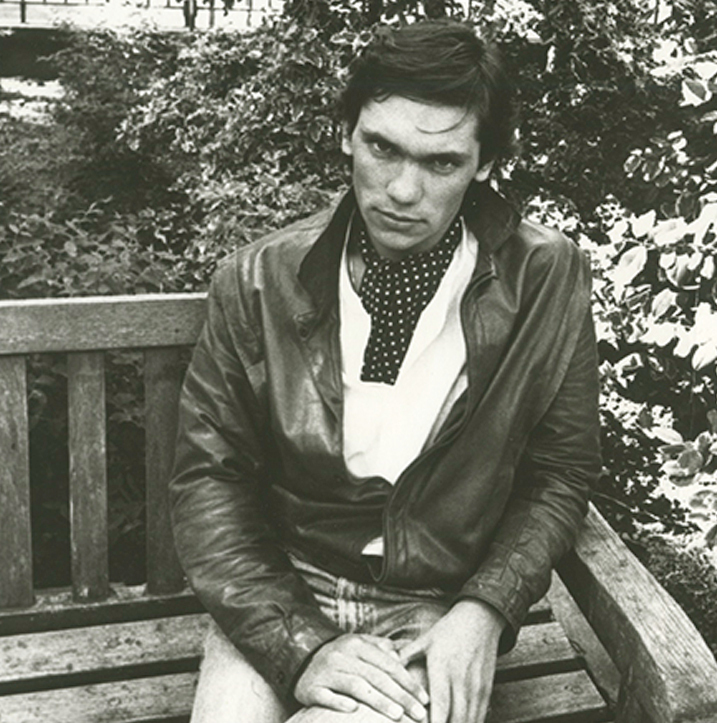 Nobody set the style better than Keith McMillan, a one-time dancer with the Royal Ballet. His work defines Campaign’s photographic style and forms the core of the thousands of images in the magazine’s pictorial archive, which was gifted to the History of Advertising Trust last year. More important was his ability to capture a personality in a single shot. This may have had something to do with his rather abrasive attitude and his habit of asking his subjects quite nasty questions. 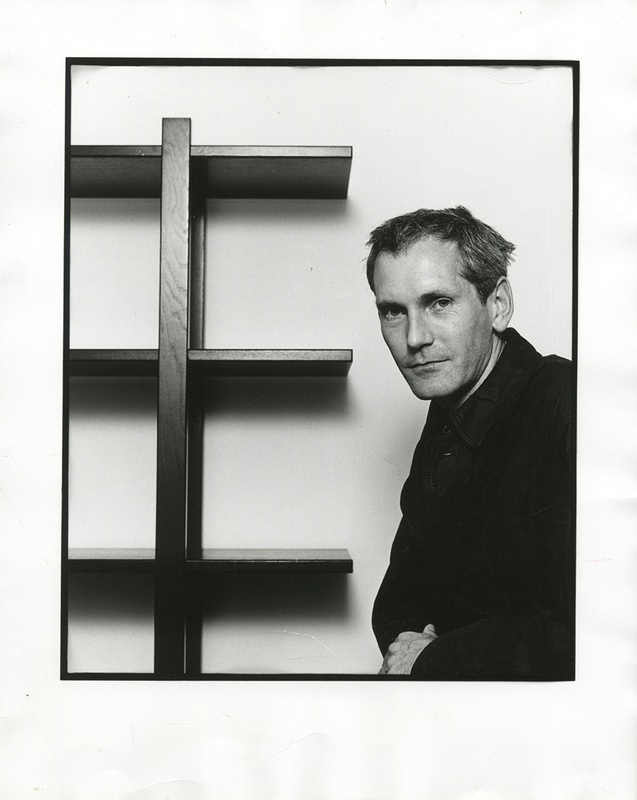 The result of his work and others has been the creation of a unique archive telling the story in pictures of the men and women who shaped UK advertising. Now, that archive will be at the heart of a major fundraising initiative by HAT, which will be selling mounted prints of the original photographs. It will start with an exhibition, sponsored by law firm Osborne Clarke, featuring some of the collection’s landmark images. Taking place at the IPA on 13 October, it will be introduced by Jeremy Bullmore. Meanwhile, we present some of the gems from this treasure trove. 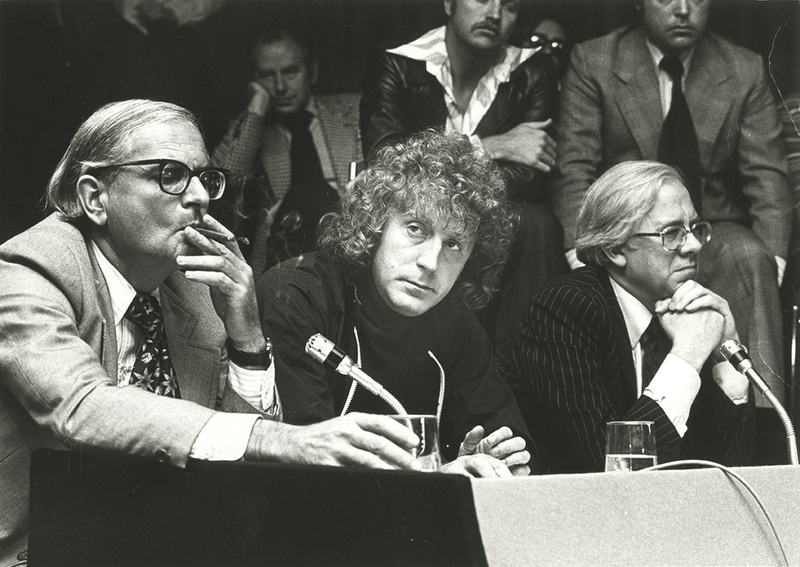 Jeremy Bullmore and Frank Lowe 1977 J Walter Thompson’s Bullmore and Lowe, then Collett Dickenson Pearce’s managing director, get set for a TV debate with print union Slade, which was threatening to unionise adland and "black" agency staff who failed to join it. Slade declined to take part in the debate and the threat fizzled out. 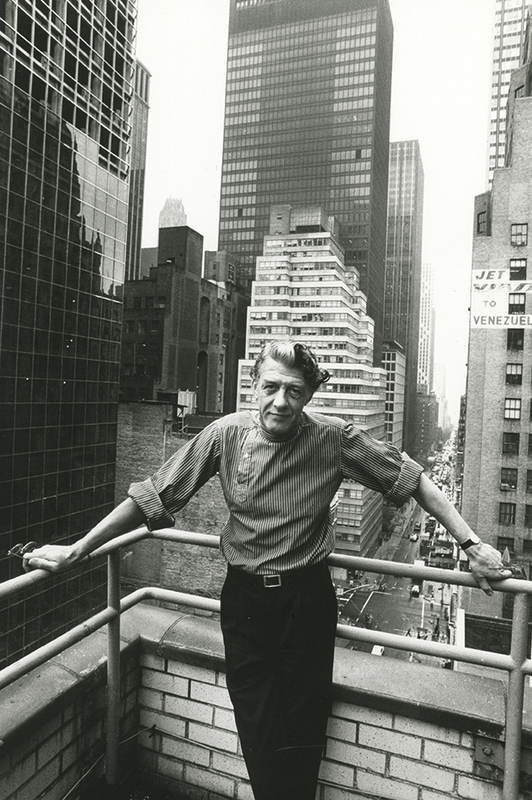 Norman Berry 1983 Against a Manhattan backdrop, Berry, Ogilvy & Mather’s global creative director, assumes a "master of the universe" pose. In fact, he was never comfortable in that role, which he thought "toothless" and stayed in little more than two years. Frank Budgen 1991 Budgen’s death aged 61 in November last year robbed the industry of one of its most celebrated directors. Described as "a force of nature", his work included "Escape the sofa" for Reebok, "Tag" for Nike and "Mountain" for Sony PlayStation. 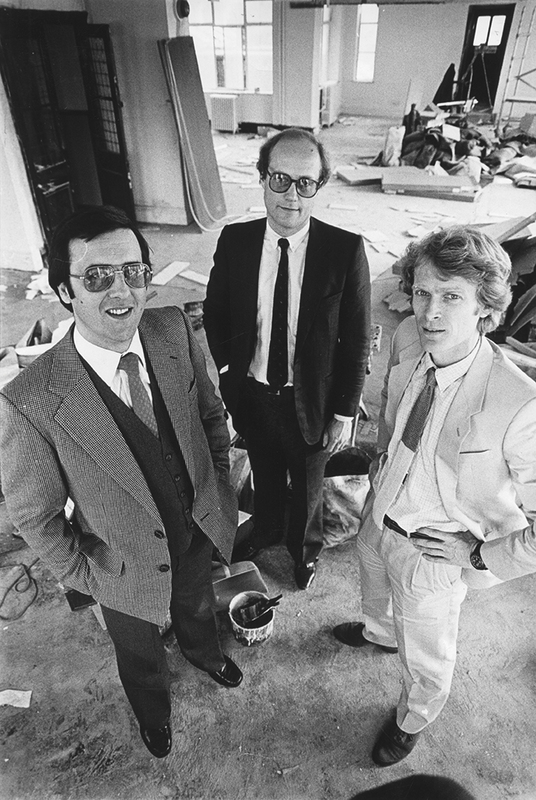 John Bartle, Nigel Bogle, John Hegarty 1982 With the paint still drying in their starter home, Bartle, Bogle and Hegarty face the camera, having just left TBWA – where they believed themselves undervalued – to launch what was to become one of Britain’s most successful agencies. 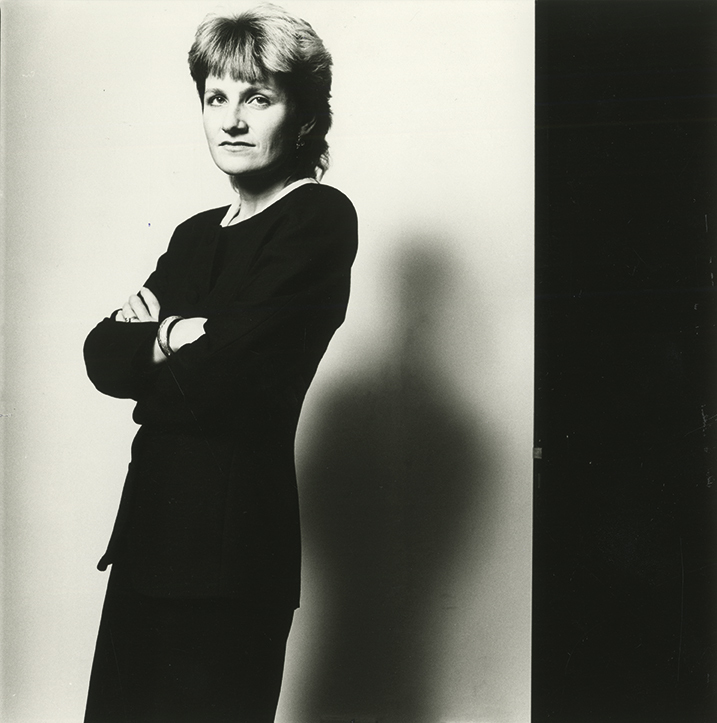 Ann Burdus 1985 Burdus was a true industry pioneer. 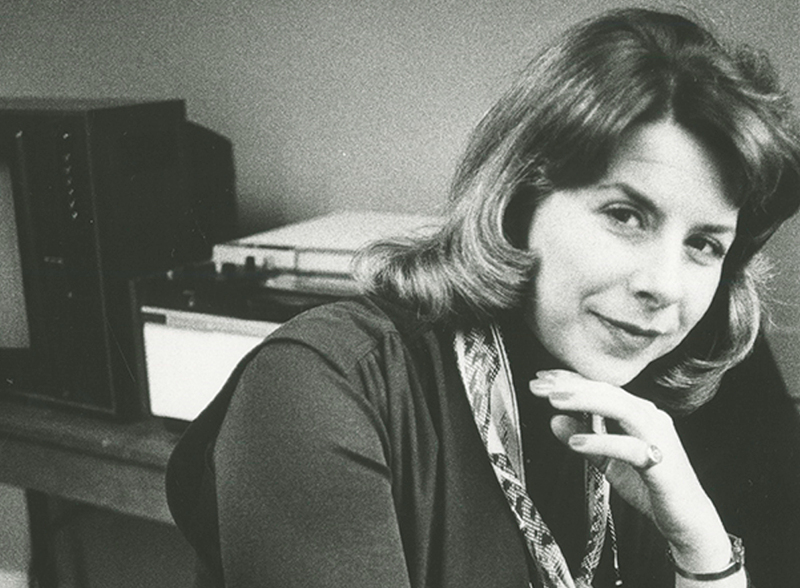 Not only was she the first woman to become McCann’s UK chairman and chief executive but she drew on her experience as a psychologist to create new forms of market research. 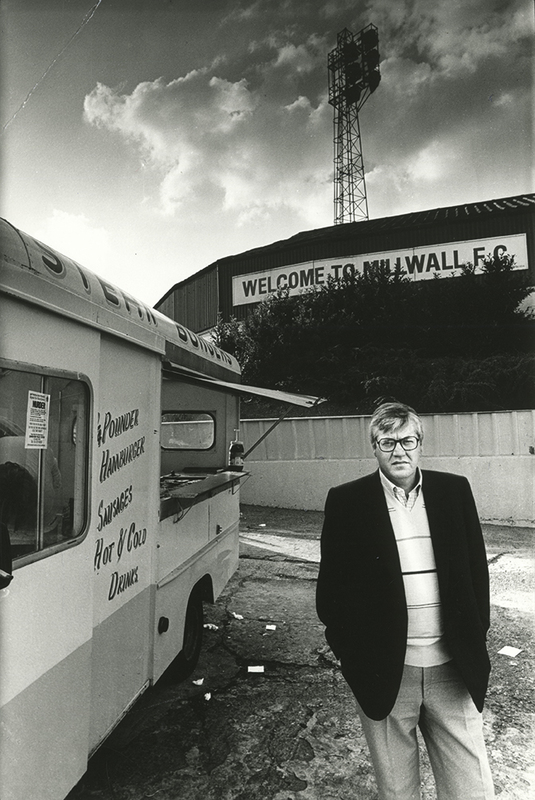 Peter Mead 1986 Mead looks glum as he stands outside his beloved Millwall, the football club he supported as a workingclass lad from Peckham. He later became its chairman. Maybe the Abbott Mead Vickers founding partner is thinking about the £3m he reportedly lost trying to halt the Lions’ financial crisis. 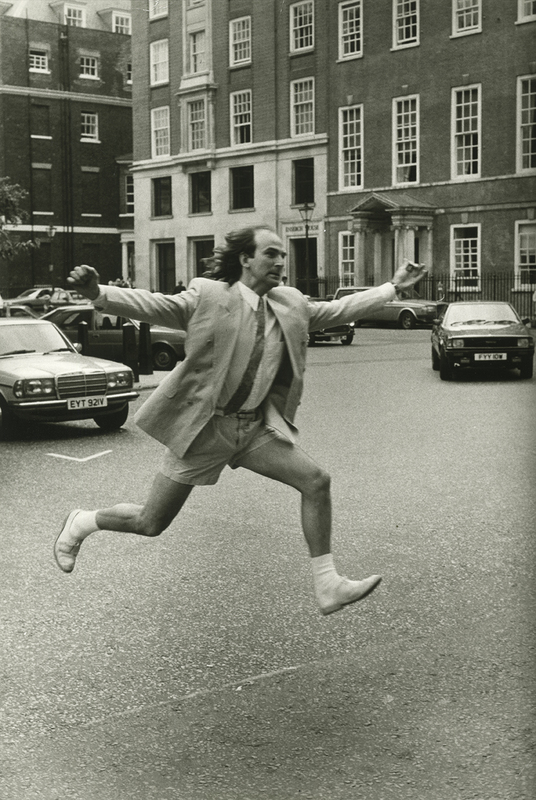 Graham Hinton 1987 Ever eager to enhance its reputation for serious journalism, Campaign decided to run a piece on whether it was OK for admen to wear shorts to work in the summer. Hinton, then D’Arcy Masius Benton & Bowles’ joint chairman and now HAT’s chairman, leaps into action with this Action Man pose outside the agency’s St James’s Square home. 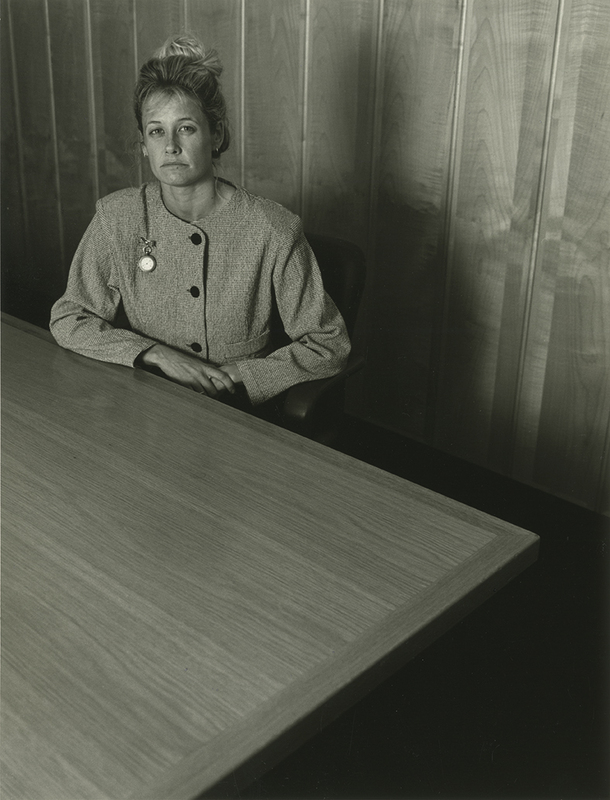 Alexandra Taylor 1988 Taylor is seen here during her 17-year stint at Saatchi & Saatchi, where her mentor, Paul Arden, chose her to succeed him as head of art. Famous for her creative partnership with Adam Kean, Taylor made her name with award-winning work for the Army, Castlemaine XXXX and Schweppes. In 2014, she became the first female recipient of the D&AD President’s Award. 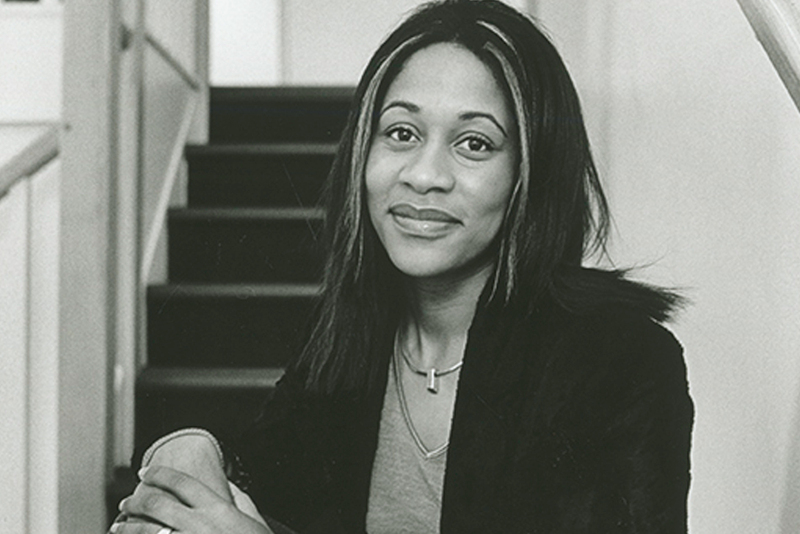 Karren Blackett 2000, Tiger Savage 1997 Here are two women who have played pioneering roles in places where females were long conspicuously absent. Blackett, chairwoman of Britain’s biggest media agency MediaCom, is a bus conductor’s daughter from a second-generation immigrant family and one of a handful of black role models at the industry’s most senior level. Savage, whose creative career spans Simons Palmer Denton Clemmow & Johnson, Bartle Bogle Hegarty, Leagas Delaney and M&C Saatchi, last year launched a start-up with her husband, Will King, who founded King of Shaves. Peter Marsh 1970s Marsh, who died in March, was as famous for his flamboyance as his cussedness. 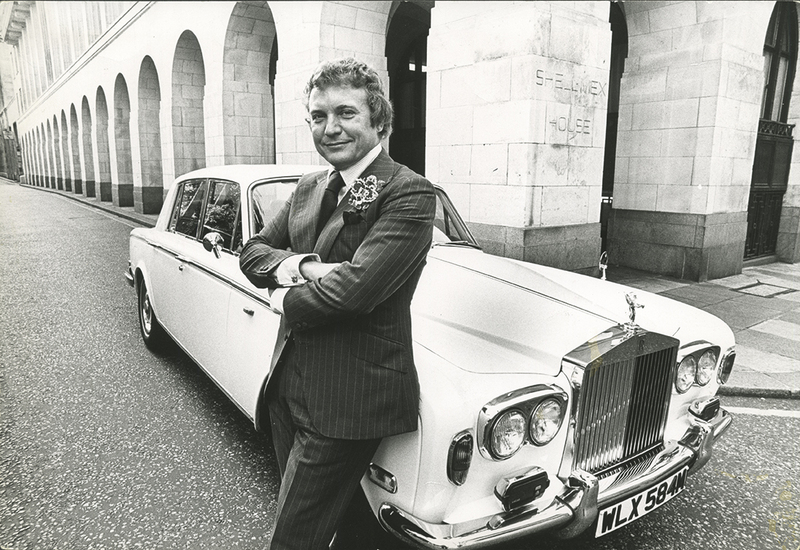 The actor-turned-adman co-founded Allen Brady & Marsh (the agency that created R White’s "Secret lemonade drinker"), wore cufflinks the size of Frisbees and often favoured cream suits to match his Rolls-Royce. 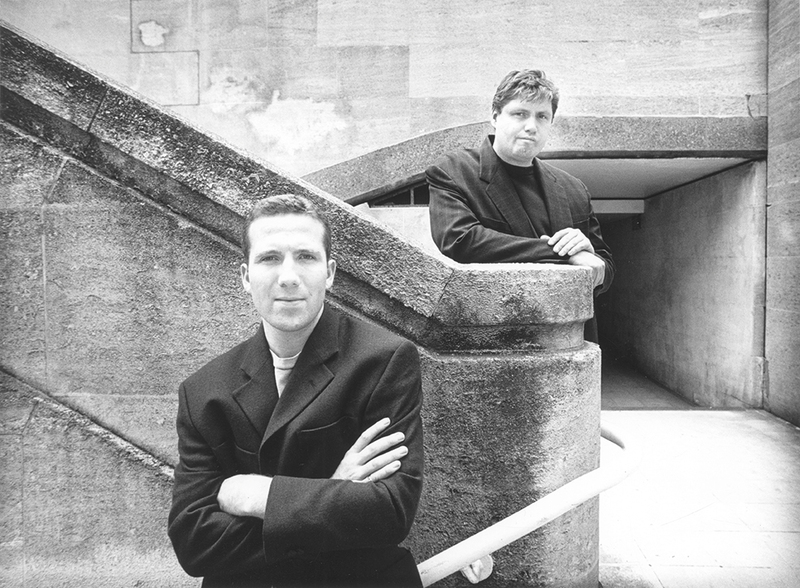 Dave Dye, Mike McKenna 1993; Lyndy Payne 1993 A variation on the famous Campaign "fire escape" shot features Dye, currently head of art and design at J Walter Thompson, and his then copywriting partner McKenna. Beside them is Payne, a one-time agency secretary who set up AAR as the first agency/client marriage-broker. She stepped down from the business in 1998 after 24 years. 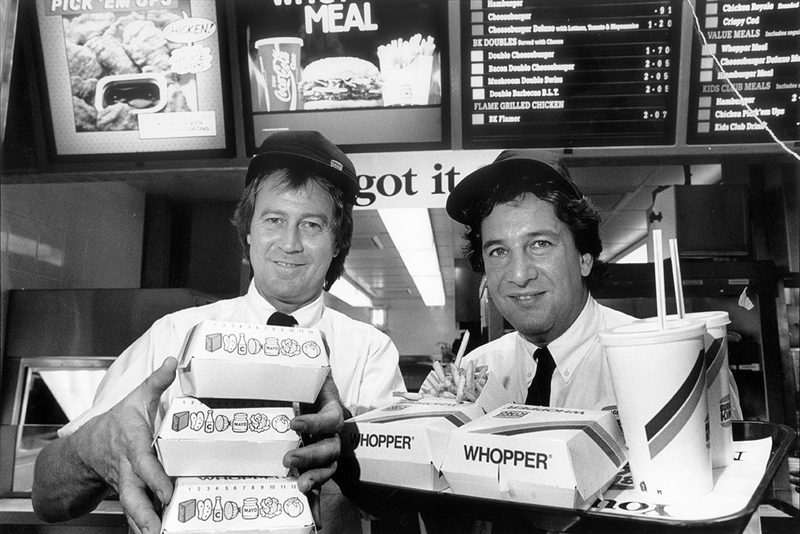 Bill Muirhead, David Kershaw 1991 Having just captured Burger King’s account, Saatchi & Saatchi stalwarts Muirhead and Kershaw agree to try life on the front line at the fast-food chain’s outlet at Heathrow. "Just the usual bit of client toadying," Kershaw recalls. Yes, we would like fries with that. 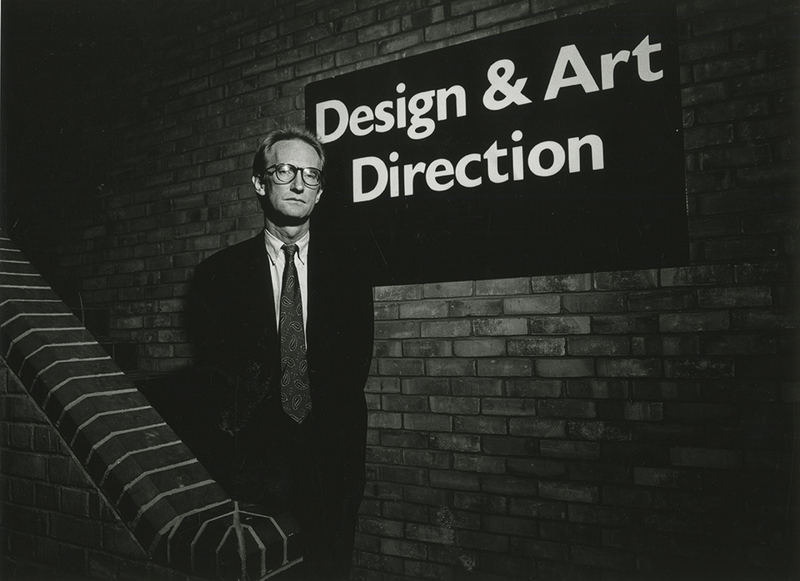 Tim Delaney 1991 D&AD’s transformation from a financial basket case began with Delaney’s arrival as president. "I didn’t set off to fix D&AD," he later recalled. "I just wasn’t afraid to do it." The biggest casualty was the organisation’s then chairman, Edward Booth-Clibborn, who put a £448 lunch for two at Le Gavroche on his expenses. 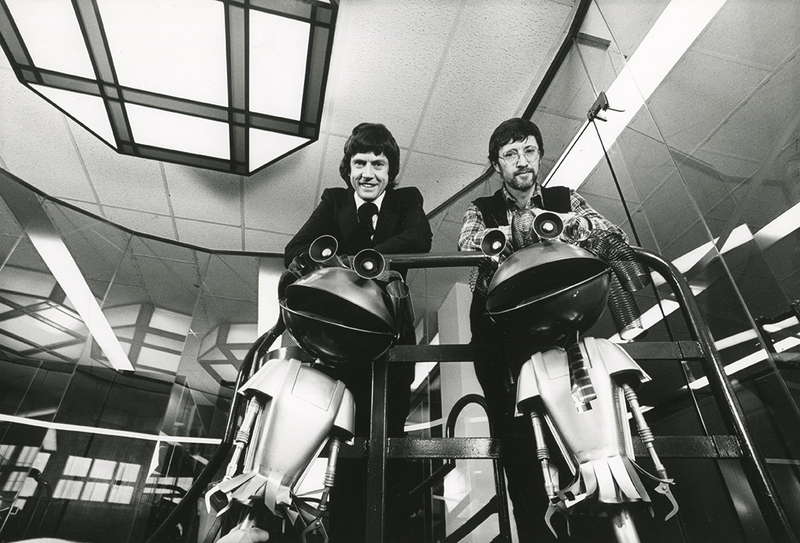 Chris Powell, John Webster 1980 Two of the most iconic characters in UK ad history – the Smash Martians – face the camera with Powell and Webster, chief executive and executive creative director respectively at Boase Massimi Pollitt, the agency that created the classic Smash campaign. 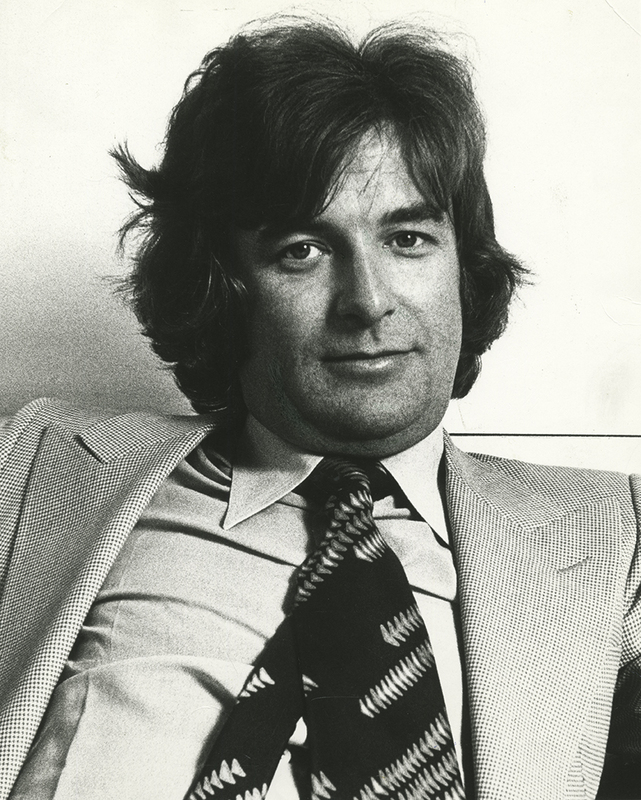 Tim Bell 1977 This shot of Bell was taken at the height of his barnstorming days as managing director at Saatchi & Saatchi, when nothing truly seemed impossible. Sir John Hegarty claims that, without Bell, the Saatchi brothers "would never have built the agency to the size they did". 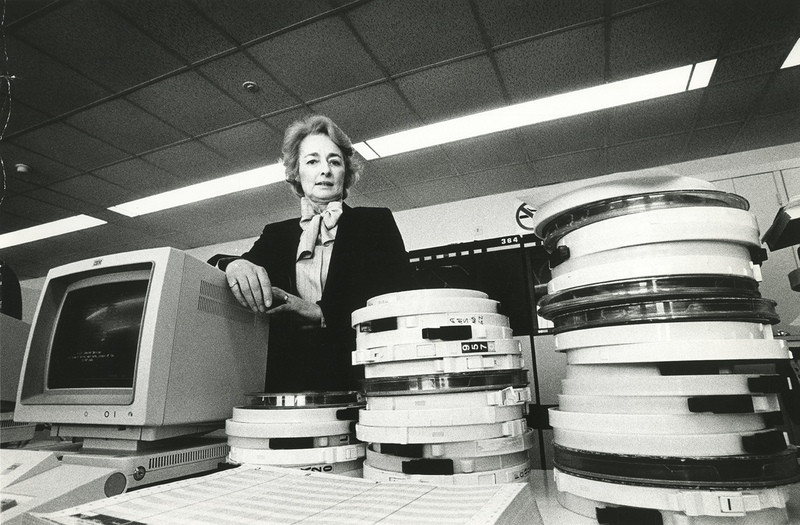 Within two years, Bell would go on to help mastermind Margaret Thatcher’s election victory and become, arguably, Britain’s most successful PR man. 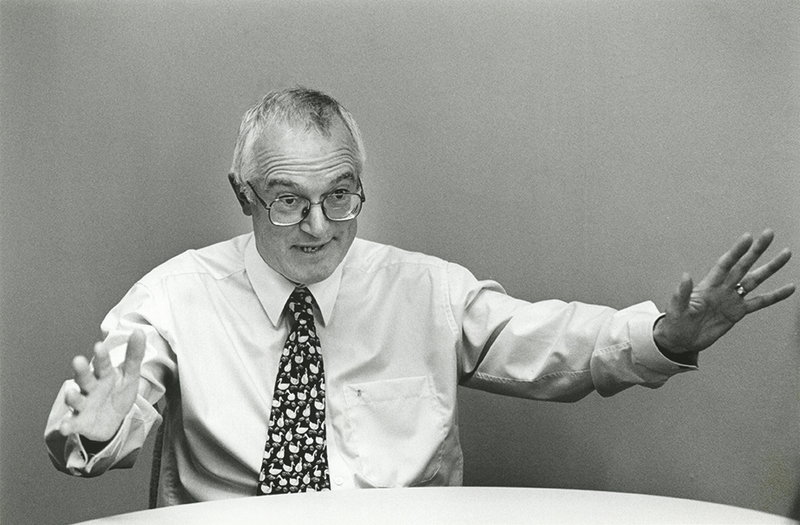 Chris Ingram 2002 A typically animated Ingram, founder of CIA (now MEC) – dubbed the grandfather of media and inventor of the standalone media agency. Famous for his "I’ll show ’em" attitude and relentless drive, he once remarked: "I hope, until they put me under the ground, I’ll have passion."